Mr. George T. "Duke" Lilley, 89, went to be with his Lord on Wednesday, August 3, 2016. 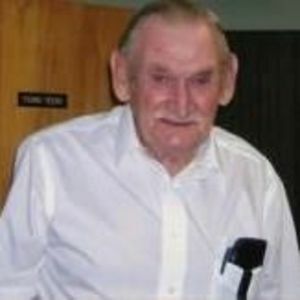 Mr. Lilley was born in Martin County on September 18, 1926. He was a business co-owner at G & L Gas & Appliances for many years. His love for the community led to his many years as a member of the Williamston Volunteer Fire Department. He loved fishing and also flying, being a pilot. He was also a charter member of the Williamston Church of Christ, serving as an elder. Surviving are his wife of sixty-eight years, Nellie Baker Lilley; three sons, Kenneth T. Lilley and wife Beverly of Winterville, G. Randy Lilley and wife Millie of Williamston, and Alan Grey Lilley and wife Katherine of Winterville; his grandchildren, Tim Lilley, Amanda Rouse, Kelly Williams, Crystal Grant, Kimberly Norris, and Melissa Prater; also 9 great-grandchildren; two brothers, Daniel Lilley of Williamston and Melton Lilley of Monroe, N.C. He was preceded in death by his parents, Raleigh and Martha Lilley, a sister, Rhoda Choplin, and a daughter-in-law, Linda Lilley. Funeral services will be held at Biggs Funeral Home Chapel in Williamston, N.C. on Saturday, August 6, 2016 at 3:00 P.M. with visitation 1 hour prior to the service. Burial will follow at Martin Memorial Gardens. Flowers are appreciated or donations may be made to the building fund of Williamston Church of Christ at 201 S. Edgewood Drive in Williamston, N.C.
On line condolences at www.biggsfuneralswilliamston.com.